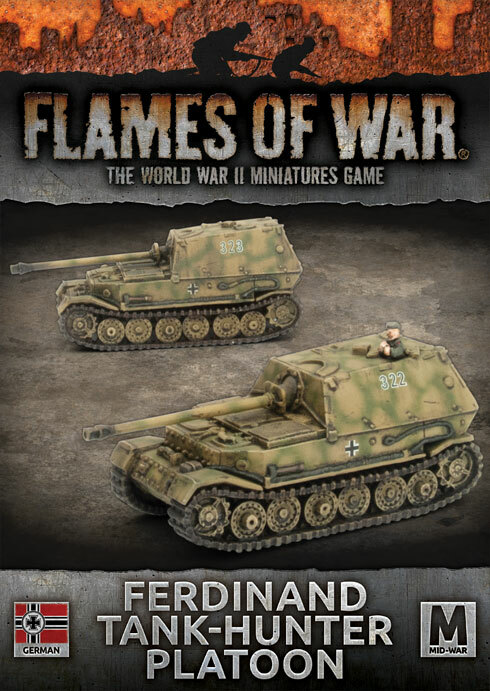 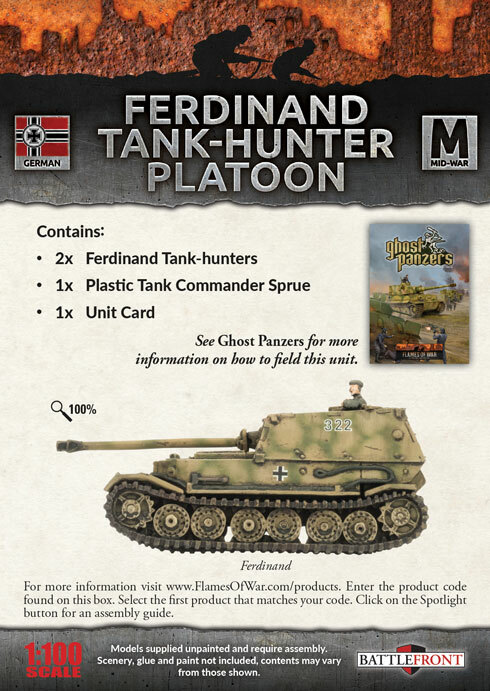 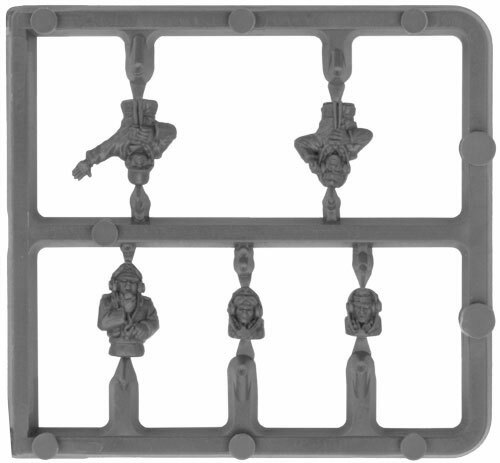 includes two resin and metal Ferdinand Tank-hunters, one plastic Tank Commander sprue, one Decal sheet and one Unit card. 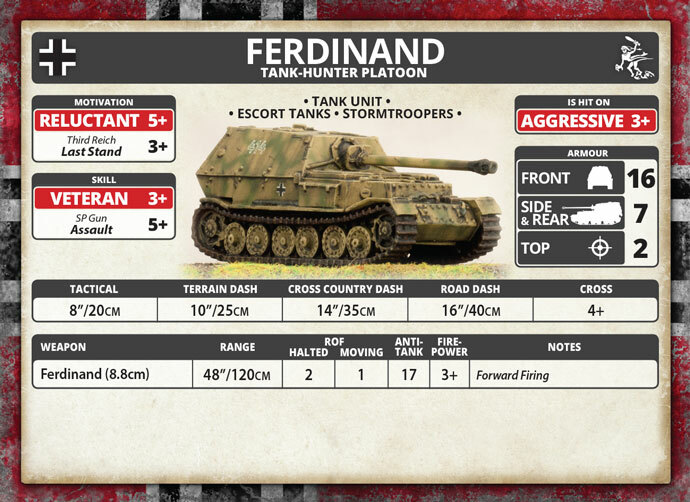 The Ferdinand Tank-hunter is a fearsome anti-tank vehicle. 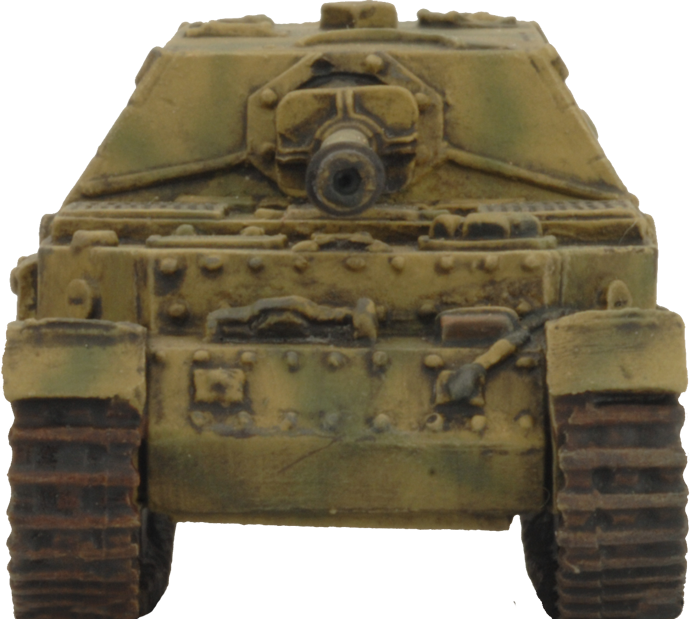 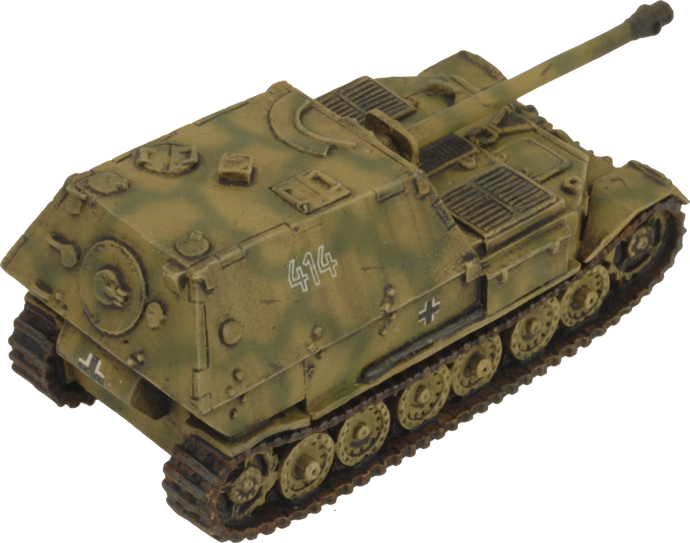 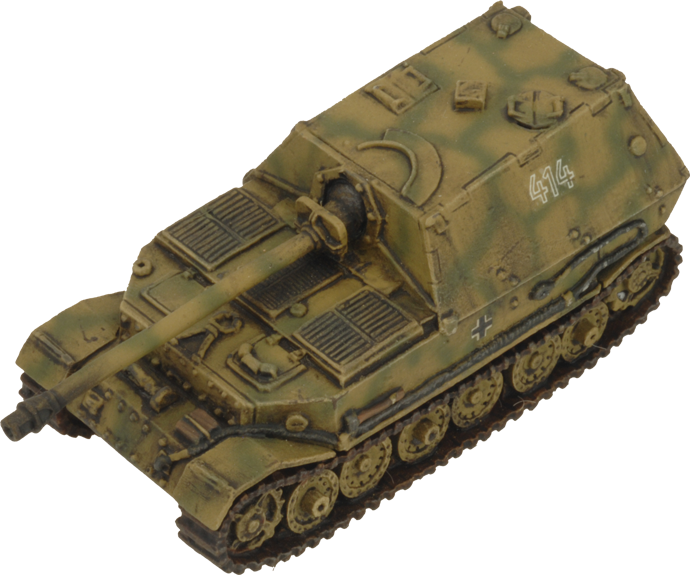 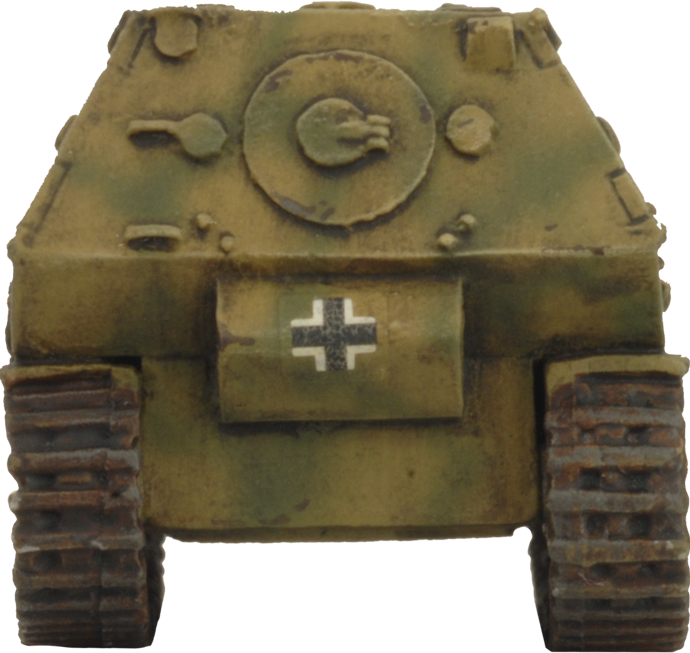 Not only a can-opener, the Ferdinand is unmatched in armour with 200mm (8") of frontal armour. 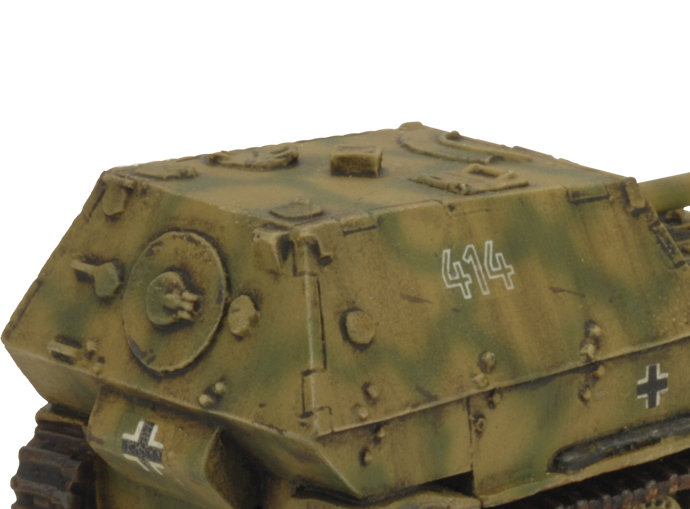 This protection will keep the tank in operation, even while under intense incoming fire. 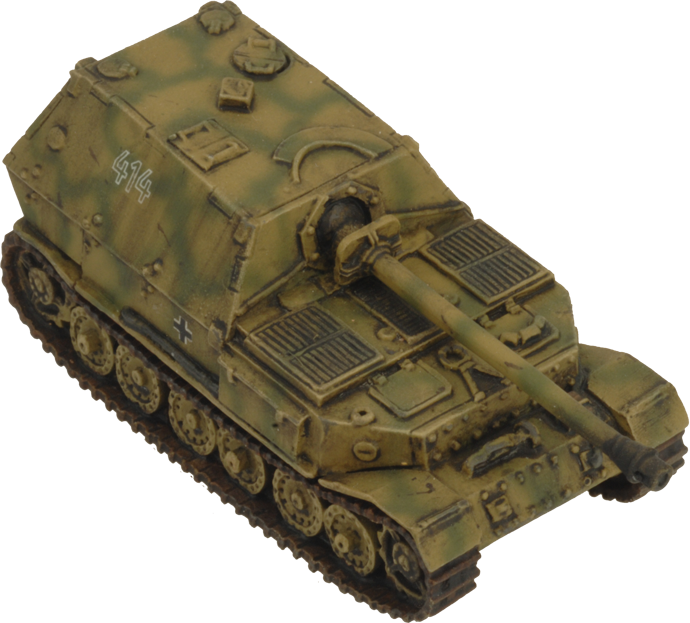 The 8.8cm Pak43 is the most powerful gun currently in service. 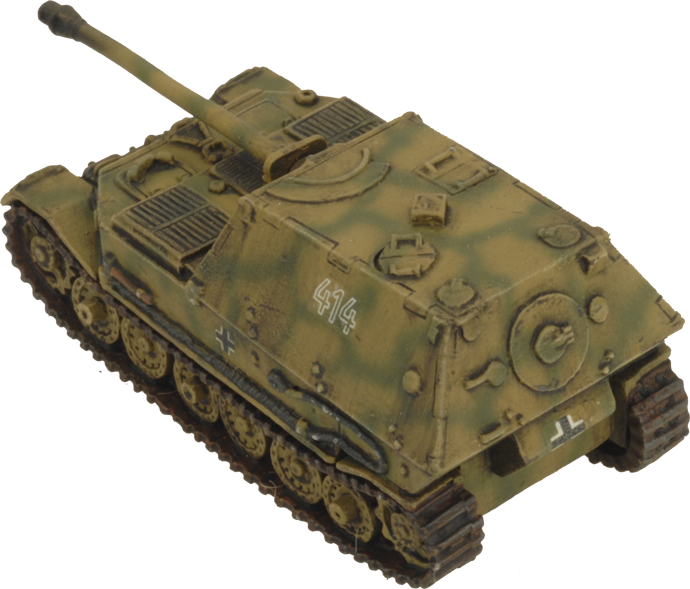 This combined with its armour gives the Ferdinand dominance of the battlefield.